As a student working on their dissertation, the chances are you’ve already come across the trails that are associated with this task. The life of a student is busy and can be really daunting when you have classes to attend, work to go to, a social life to maintain and so much more. Then chuck a dissertation into the mix, and things can get very stressful, very quickly. If this is the case, it may be worth looking into a custom essay writing service like DissertationExpert.org that can help. Today, we’re going to take a look into whether this is the service for you and whether you can get the affordable help you need. 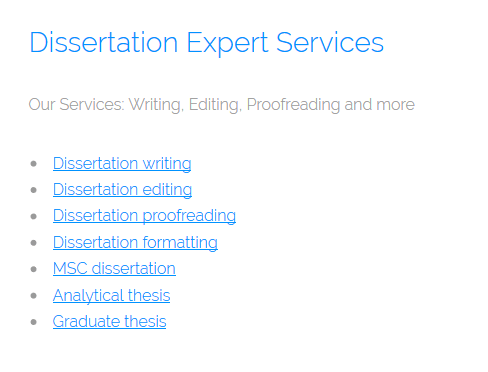 Heading over to the services page, you’ll find that the website offers a total of seven core services — these range from dissertation writing, editing and proofreading, and then a couple of thesis tasks. While this is ideal for those of you looking for dissertation help if you thought this way an all-rounded custom essay writing service that can help with tasks like presentations and essays, you’re going to need to take your business elsewhere. 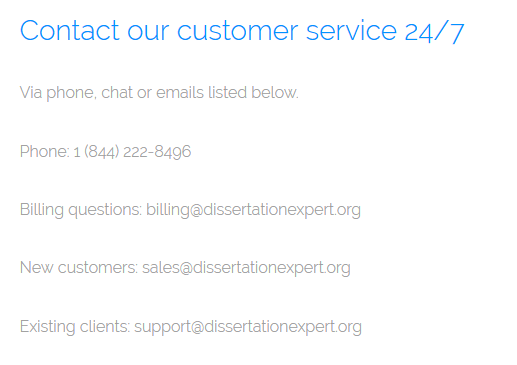 Unfortunately, there’s no dedicated pricing page or price calculator on the Dissertation Expert website so you can easily figure out how much your content is going to cost. Even if you start making your way through the order form, you need to hand over your personal information like phone number and email address to get a quote. This is such a poor way of doing things because there’s no baseline as to how much your content is going to cost. In theory, this means the website could try to charge you whatever they want, and even if you decline the quote, they still have your personal details. Of course, if the service is decent and gives you the quality you’re looking, you won’t mind paying a good price for your content. However, this doesn’t seem to be the case. Head over to the testimonials page, and you’ll see some really basic reviews that could have easily been faked. What’s more, none of these reviews have dates on them which mean they could be years out of date and no longer represent the service. Searching online, there seems to be next to no information about the services, meaning it isn’t really used, or the negative comments have been taken down; neither of which is promising. If you’ve made and wanted to refund an order, or simply make an edit, you’ll need to get in contact with the DissertationExpert company as soon as possible. However, this might be easier said than done because your options are limited. You can use the US toll-free number, but there’s no international support, three email addresses, and the live chat. None of these claim how long a reply will take, and there’s no social media links or Skype address for urgent assistance if you need it. All in all, there’s a lot of room for improvement at DissertationExpert.org. If you’re happy to spend a bit extra and have to recheck your content, and you don’t mind, go ahead with DissertationExpert, but if you’re looking for a more complete experience, it might pay to go elsewhere.